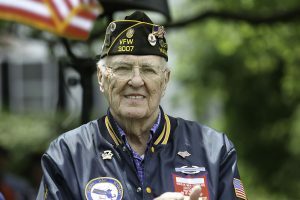 The We Honor Veterans program provides resources for hospice organization to recognize and honor the service of military veterans who are nearing the end of their lives. Heart & Soul Hospice is a proud We Honor Veterans partner. Through this program, Heart & Soul Hospice staff members have access to a wide variety of resources designed to support and encourage the veteran and their family members during hospice care. One of the most common practices is to have a pinning ceremony for the veteran led by the branch of the military in which he or she served. It is an opportunity to publicly acknowledge the veteran’s service and the sacrifices made by both the veteran and his or her family. 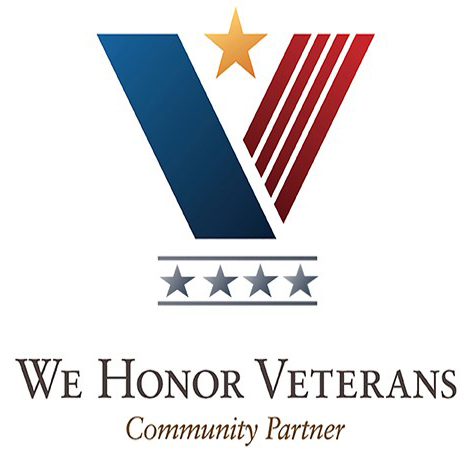 We Honor Veterans was developed by the National Hospice and Palliative Care Organization in collaboration with the Department of Veterans Affairs to create resources and a standard of care for veterans and their families. Program resources focus on respectful inquiry, compassionate listening, and grateful acknowledgement, coupled with Veteran-centric education of health care staff caring for Veterans. Respect veterans service, their feelings and any suggestions they might offer. Support veterans and validate their feelings. Listen patiently to develop trust. Expect the veteran’s sharing to occur over time. Demonstrate honesty, sincerity, caring and respect. Heart & Soul Hospice of Farmington is a level 4 We Honor Veterans partner. 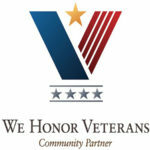 Heart & Soul Hospice of Wichita is a level 3 We Honor Veterans partner. If you would like to volunteer with the We Honor Veterans program at Heart & Soul Hospice, complete the form below.